First to top the list is Yul Edochie, we all know him, veteran actor, son of the legend ‘Pete Edochie’. His acting skills are without doubt amazing and he has positively contributed to Nollywood. How? With everything you knew about Yul Edochie, you probably didn’t know that he owns a film academy-‘Yul Edochie Academy’, he started it in 2015 and has taken it upon himself to see that aspiring actors and actresses get the adequate training they deserve, his academy has so many benefits. Apart from the fact that he comes from time to time to tutor the students, he also gives some of them the opportunity to work in movies he gets to star in. No matter the angle you view it from, it is a win-win situation. Innocent Idibia popularly known as 2face is a Nigerian celebrity that has shown great love for being an entrepreneur. He once said “I am not only an artist, I am also an entrepreneur”, this philosophy of his was probably what egged him on to open his own nightclub called ‘Rumors nightclub’. He first opened one in Ikeja, Lagos. He expanded and opened another branch in Festac Town, Lagos. The Rumors nightclub has been a huge success right from the first day it began, he is working towards the club’s expansion to other countries. The Julia Roberts of our time as spelt out by Oprah Winfrey– Genevieve Nnaji is an award-winning actress and a Nigerian celebrity who fully understands the importance of being an entrepreneur. She has her own clothing line called St.Genevive which she launched on the 5th of October in Victoria Island Lagos. It was a huge success, she collaborated with Jumia and her clothing articles are sold there. Don Jazzy as we all know him is also an entrepreneur of interest who has become well-established even as a Nigerian celebrity. He wasn’t from a very rich background but with hard work and commitment, he was able to make our list of top Nigerian celebrity entrepreneurs. He has dabbled in many areas of business. In 2012, he signed an advertisement contract with Loya milk, that’s not all, he’s also shown great interest in investment as he has invested in real estate and also in a new oil and gas company called ‘mavin energy limited’. Oladapo Oyebanjo popularly known as D’banj is an entrepreneur who we cannot do without mentioning, he launched his agricultural project in 2014 in which he now processes garri and has been making plans to expand. He has his own garri processing plant, he calls the product‘koko garri’. He is a Nigerian celebrity entrepreneur we are very proud of because even though he has been ‘off and on’ with his music career, he was able to put all his efforts into the koko garri business which has been thriving so far. 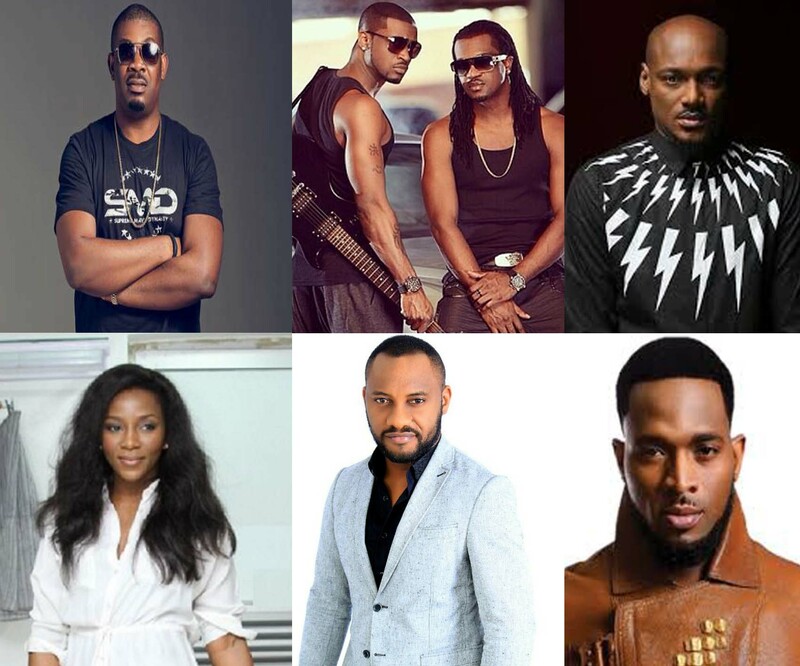 So there you have it, our list of Nigerian celebrities who are entrepreneurs. The point here is to try not to rely on a particular thing, always have a backup plan for in case things go south. Being an entrepreneur is so much more than making money, it gives you the ability to manage other life endeavors.